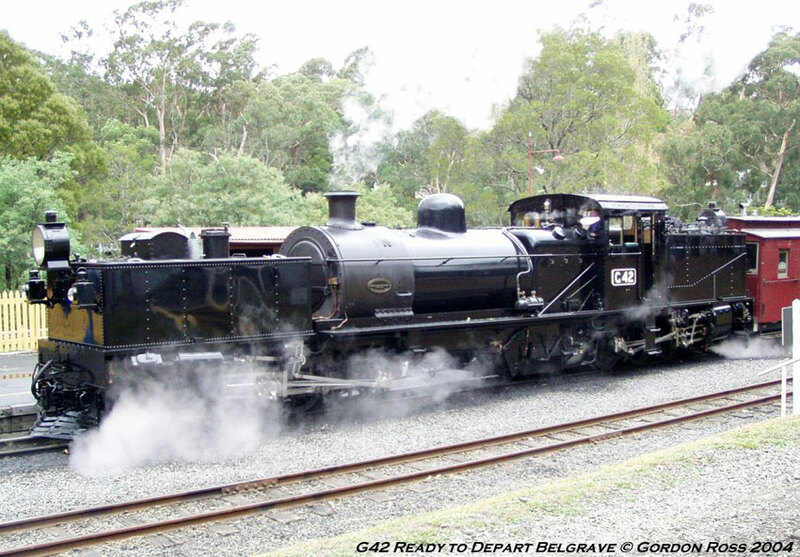 This photo was contributed by Gordon Ross and shows G 42 on a special charter at Belgrave on 18th April 2004. 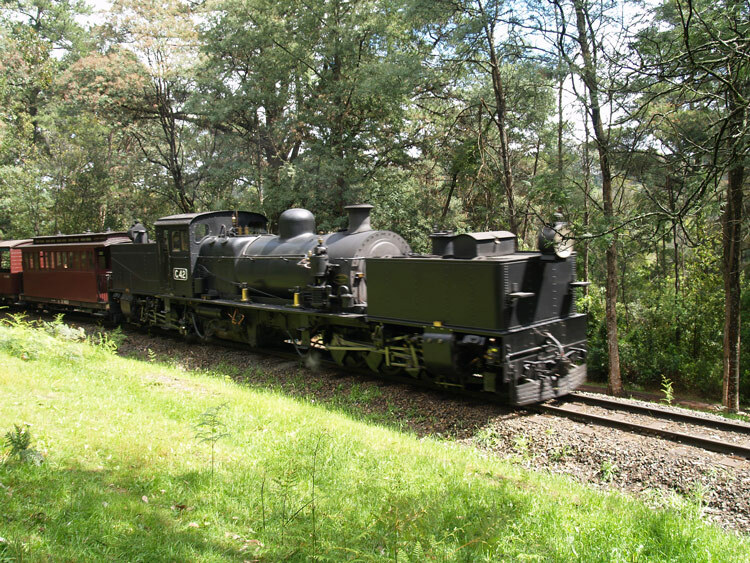 Following the closure of the Moe-Walhalla line in 1954, G 42 was overhauled and transferred to the Colac-Beech Forest-Crowes line in 1955. Here it assumed most duties from G 41 which was more worn following years of service on the heavier traffic on this line. In 1962 the Colac line also closed. 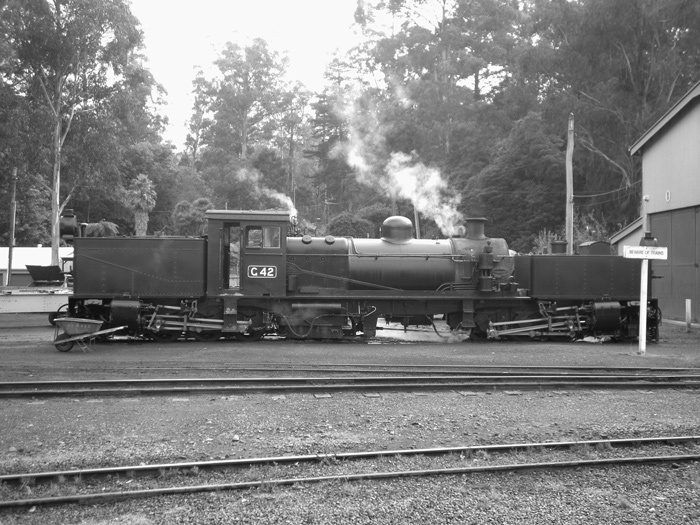 While G 41 was scrapped in 1964, fortunately G 42 had been purchased for preservation in 1963 by the Puffing Billy Preservation Society. 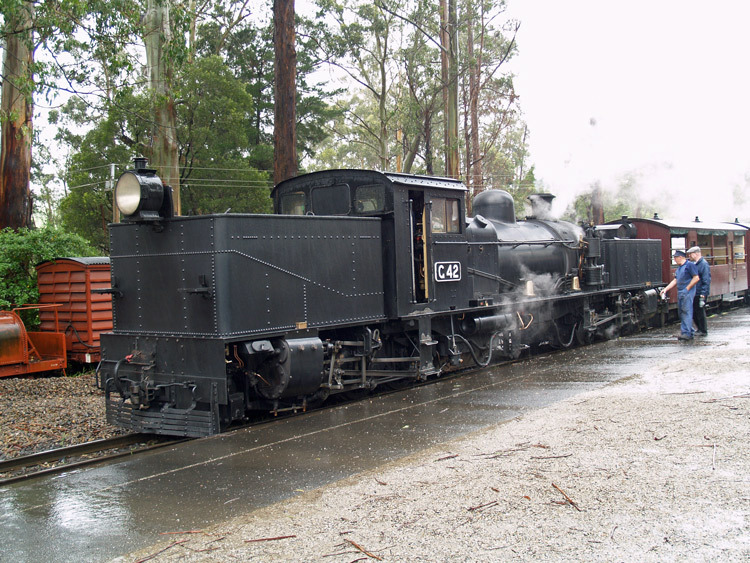 G 42 was displayed at the Menzies Creek Museum until 1977 until transferred to Belgrave, where restoration to operation began in earnest in the late 1980's. As a quirk of ferroequinology history, Australian Portland Cement at Fyansford had also selected the WAGR Ms-class design for their locomotive needs. The boiler of their No.1 had been saved by the PBPS and was overhauled and fitted to G 42 during its rebuilding. 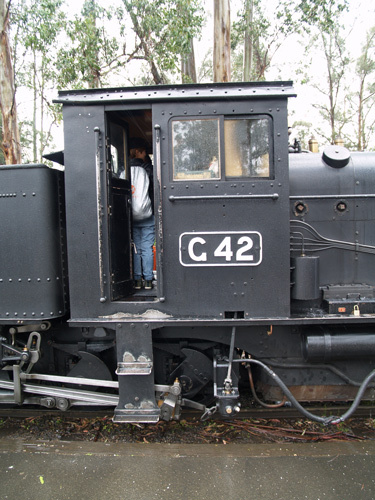 G 42's original boiler is now displayed at Menzies Creek Museum. A. E. Durrant's excellent book "Garratt Locomotives of the World" is recommended reading for further information about Beyer-Garratt locomotives. 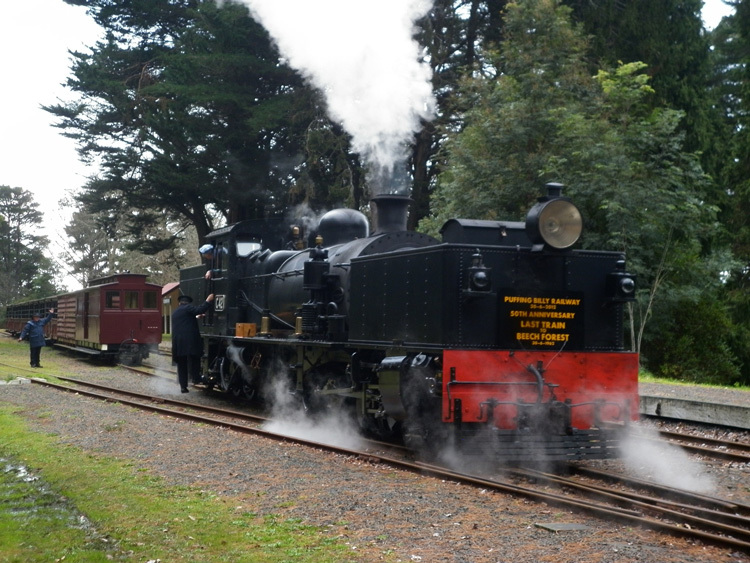 commemorating the 50th anniversary of the last train to Beech Forest." Max Bracher has also contributed this view of G 42 outside the Belgrave loco shed on 7 April 2012. 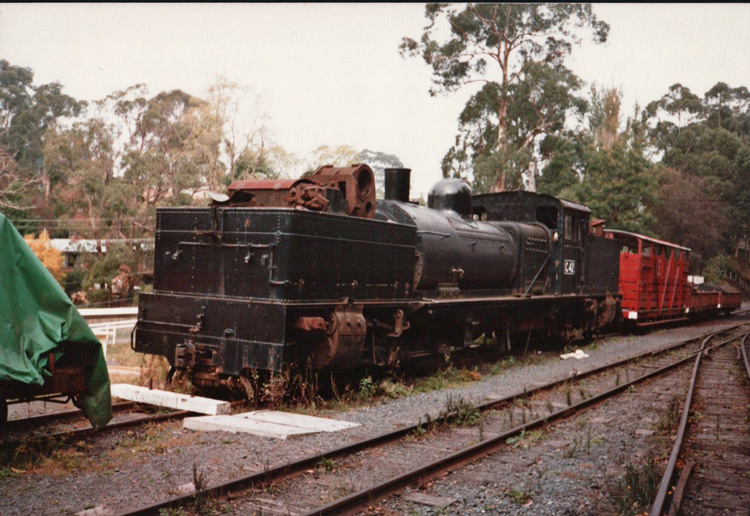 This much earlier scanned view shows G42 in the siding at Belgrave in May 1986, prior to restoration commencing. 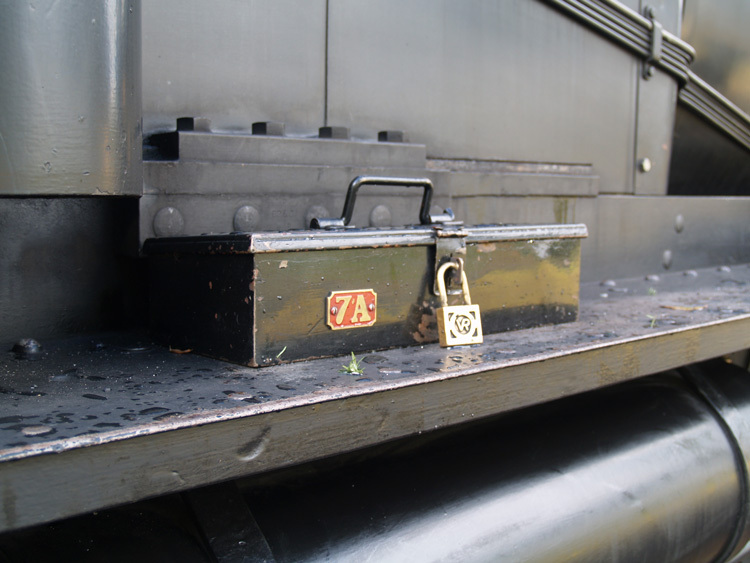 A spare cylinder block can be seen resting on the front water tank. G 42 prepares for departure from Menzies Creek. 13 October 2013. 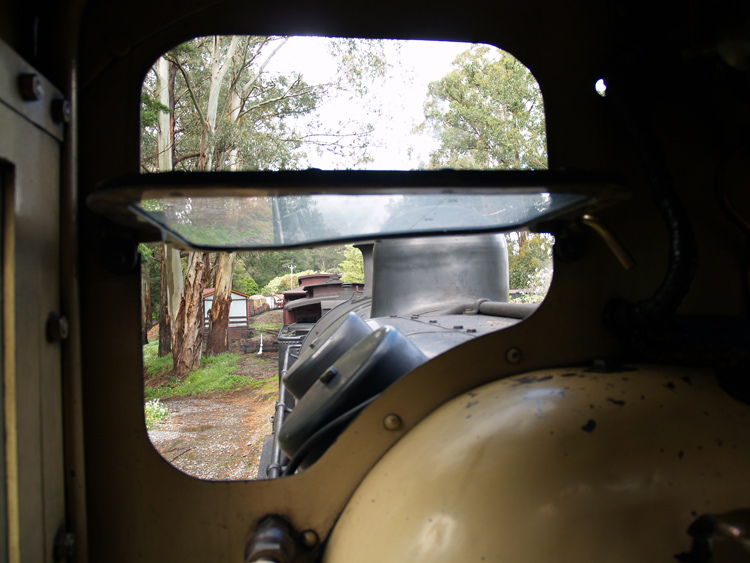 A view from the cab as G 42 and train depart Menzies Creek. 13 October 2013. G 42 cab. Menzies Creek, 13 October 2013. 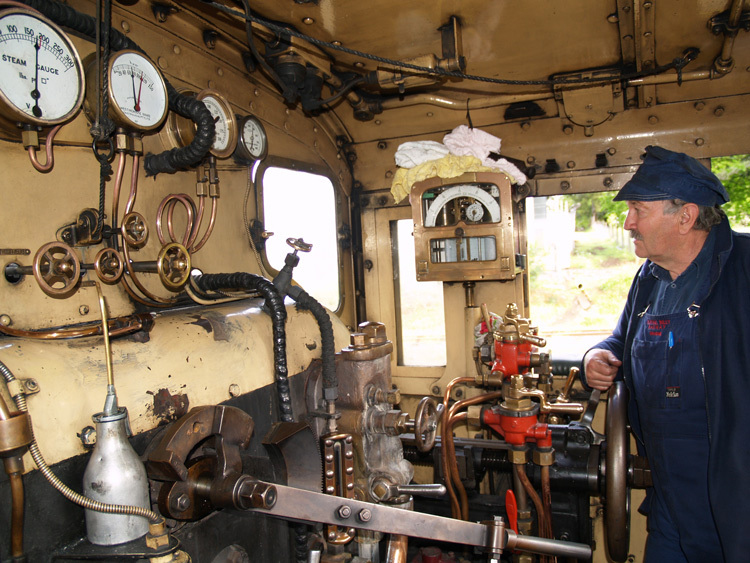 G 42 cab and firebox view. Menzies Creek, 13 October 2013. 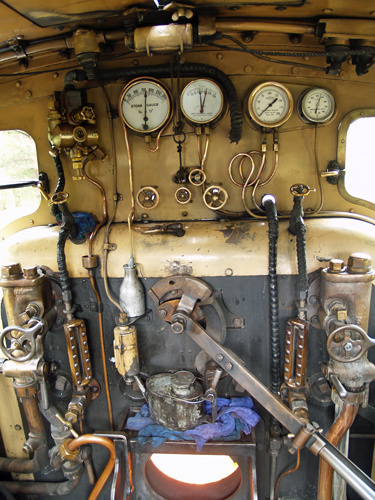 Cab detail. 13 October 2013. 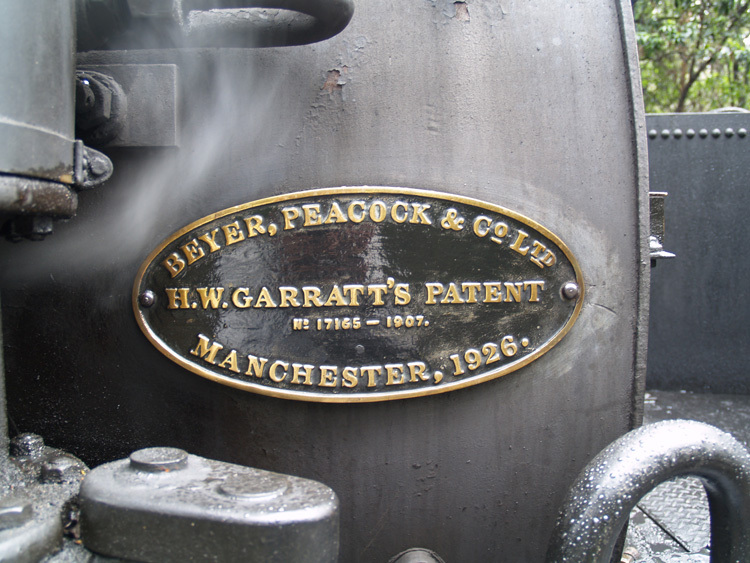 G 42's Beyer Peacock & Co builder's plate attached to the smokebox. 13 October 2013. G 42 coasts downhill towards Lakeside station. 13 October 2013.
b "Narrow Gauge, Journal of the Puffing Billy Preservation Society, Australia" No.139, December 1995.
c Webmaster's observation or comment.